“The Fox,” a song by the Norwegian musical comedy group Ylvis, has become hugely popular over the past few weeks, reaching close to 130 million views on YouTube. Now the question is, does it deserve it? “The Fox” is a fun, catchy song that manages to be ridiculous enough to be funny. It is hilarious to see someone take the sounds foxes make so seriously. What makes it work here is that these guys completely sell it. They build up their auditory quest as a serious endeavor through the tone of the verses until the chorus turns the song on its head. The music video is just as absurd. 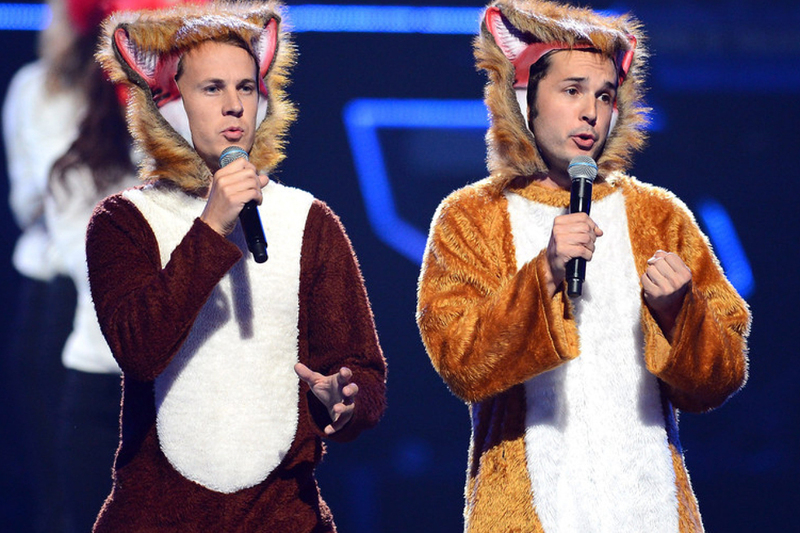 Seeing two grown men sing achingly about a fox and dance around in fox costumes is hilarious. It works with the song and matches its tone by juxtaposing their serious facial expressions with their outrageous costumes. It is also a good parody of current electropop music; the way the song builds up from a slow beginning into a sudden burst of energy with the drop perfectly mimics the style of many modern electronic artists. In this way, the song points out some of the sillier and rote aspects of the genre. There have been grumblings that this song is merely annoying and Ylvis is not saying anything important. However, it does not seem Ylvis is trying to say anything important in the first place—just something silly and somewhat clever. The goal was to make something funny, and the group largely succeeded. Their first abroad performance of their parody songs, chief among them “The Fox,” was mid-September on The Ellen DeGeneres Show. They appeared later as musical guests on Jimmy Fallon’s late night show. In addition to their foxy tribute, the group has made several other videos like “Pressure,” “Stonehenge” and “Someone Like Me” that are worth watching; they all work as parodies by focusing on the stereotypes of their respective genres. “Someone Like Me” mocks the melodrama of love songs and the cliché themes in dub step. The song mixes two people yearning to find “the one” with dub step breakdowns complete with flashing lights and wind tunnels. Somehow, the result meshes these disparate elements cohesively. This song does, in a way, reflect the direction that European electropop is heading—toward the sleek, polished club music genre. One of the criticisms of electropop is that it is “soulless,” and this song somewhat confirms the critique. Along with the emergence of acts like Icona Pop, this genre is definitely heading in a more poppy, radio-friendly direction and has come a long way from the countercultural days of New Order and Depeche Mode. The electropop genre is experiencing a resurgence in its popularity, but it may be at the expense of substance. No matter what, we will always have “The Fox” for a good laugh.